Bus riders in Edmonton won't have to walk up to 10 minutes from home to get to their bus stops, city officials said Friday in rolling out a refined version of the bus network redesign. The revised plan will ensure that "the walking distance to bus stops is no more than five to seven minutes in most neighbourhoods," the city said in a news release. It's one of the changes made based on public feedback. "Top challenges, we all heard about them," Eddie Robar, branch manager of Edmonton Transit Service, told a Friday news conference. "Walking distance was one of those for sure, and I think that today we're pretty pleased with what we've seen on the adjustments we've made with that." Most bus riders will have to walk farther than they currently do, but not by much, Robar said. "[A] majority of the routes are within a five- to seven-minute walk, 400 to 600 metres." Community bus routes that primarily serve seniors residences and destinations like shopping and medical centres will be adjusted to serve more popular destinations, the city said. Sarah Feldman, director of planning and scheduling, said some community bus routes were performing well. "We've just transferred them over and kept them exactly as they are because they're very popular," Feldman said. "And the ones that were a bit lower, we've adjusted and made changes to make them what we think will be more successful." As well, the entire Castle Downs bus network will be revamped to provide better connection to local transit centres. The bus network redesign is the first major action coming out of the transit strategy adopted by council in 2017. The city plans to replace the current bus network in 2020 with a new system with different route types. The changes unveiled Friday reflect community input received on a draft bus network redesign released in March that proved controversial. "Lots of work has gone into the last few months of really reviewing every single comment that we got from the public," Robar said. "Our planners went thoroughly through every single route's justification." The earlier draft plan cut the number of main routes from 200 to 100 in a bid to reduce overlap and eliminate routes that wind through neighbourhood collector routes. The revised plan doesn't change the number of proposed new main routes. The city said in March that the new bus network would continue to provide local routes in neighbourhoods, but warned that walking distances to bus stops may increase. Some people would have to walk up to 10 minutes to their stops, city officials said. At the time, Mark Tetterington, president of the Amalgamated Transit Union, said the 10-minute walks would prove difficult for some, especially those with challenges getting around. "There's certain areas where they're going to have to walk up to 800 metres to catch a bus," Tetterington said then. Robar said about 20 per cent of the routes proposed in March have been adjusted "to better meet transit customer needs." For example, the plan now calls for direct service between downtown and the Fulton Place and Gold Bar neighbourhoods. New routes will connect West Edmonton Mall to the Donsdale and Oleskiw neighbourhoods. Service will be improved in Chinatown. The next phase of the redesign will involve more community input. "This is our final network design so when we go to the public we're asking for their feedback on what it looks like today," said Robar. "Unless there's something catastrophic that got missed, our intent is to take that feedback back to council so they have a clear understanding of what the public's response is to this final network." Edmontonians are invited to complete an online survey or attend one of 13 drop-in community workshops to share their thoughts with transit planners about the final draft bus route network. That phase will run from Oct. 25 through Dec. 9. The plan includes frequent buses on major corridors in inner areas and to some extent, outer areas. Buses on these routes will run every 15 minutes or better on weekdays and Saturdays, and every 20 minutes or better during late nights and Sunday. 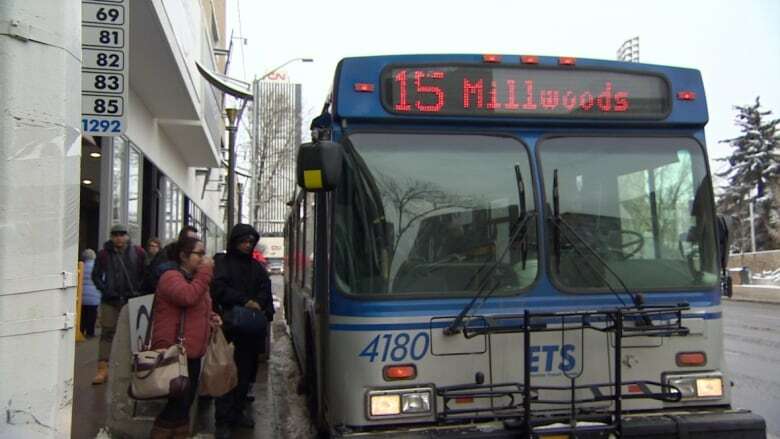 Other buses, on what the city called "rapid bus routes," will connect areas of the city that don't have LRT service to major destinations such as downtown, the University of Alberta and shopping centres. Crosstown routes will connect major destinations in outer areas of the city without having to go through downtown or travel on neighbourhood roads. They will run every 20 to 30 minutes. Local routes will provide connections to LRT, frequent bus routes and local centres. Robar said the nearly $340-million transit budget has not changed. "We're hoping to increase our ridership with these changes. We weren't looking to save money with these changes, we were looking to reinvest."